Profiling the Muslim boom town in the capital. Close your eyes and think Jamia Nagar. What do you see? Lots of Muslims? Police encounters, fake or otherwise, with terrorists? But hello, Jamia Nagar also boasts the pristine campus of Jamia Millia University with its parks and ponds, trees and benches, ducks and koyals. And next to it all are the cramped colonies packed with claustrophobic apartments, uncovered drains, and pot-holed roads. Jamia Nagar is one of the city’s many religious-ethnic enclaves, much like Chittaranjan Park (Bengalis) and Tilak Nagar(Sikhs), where Delhi shows its class and religious divides. Jamia Nagar is a ten-minute drive from one of city’s major business hubs, Nehru Place. Yamuna, flowing just behind Shaheen Bagh, looks surprisingly clean. A preferable choice of residence for the university faculty, the elegant Tikona Park and Noor Nagar stand out with their imposing bungalows and spaciousness. Neighborhoods like Abul Fazal Enclave rent out flats at reasonable rates to students. Batla House bazaar with all-night henna stalls, and shops specializing in Lucknow chikan and ‘Pakistani suits’ is locally known as ‘Mini Chandni Chowk’. Zakir Nagar is famous for street-side kebabs, biryanis and Nihari. No funky food joints exist but McDonald’s, Pizza Hut, Dominos are just outside Jamia Nagar in the Community Center, adjacent to Surya Hotel. Ghaffar Manzil with its air-conditioned flats and Children’s Park is an ideal middle class haven. Unlike the localities of Haji Colony or Okhla Vihar, there are no serious power or water shortages here. But problems persist. “The sewage is very basic and the drains start stinking by afternoon. Illegal encroachments have made the place congested. There are almost no civic amenities,” complained Ghaffar Manzil resident, Waheeda Khan, Reader in Jamia University’s Psychology Department. In charge of the girls’ hostels, Mrs. Khan however certified the area to be very safe for women. Other than a Government School in Jogabai, there is dearth of decent colleges. But buses come from as far as DPS RK Puram and GK-II’s KR Mangalam to pick up students. With the university facilities available only to ‘Identity-card holders’, Nelson Mandela Center at Mujeeb Bagh has a well-stocked library, thankfully open to all. In the beginning, there was only a village called Okhla. Development started in 1935 with the laying of the foundation of a new building for Jamia University, earlier housed in Karol Bagh. The area gradually evolved as a sanctuary for Muslims seeking education, employment and better life. 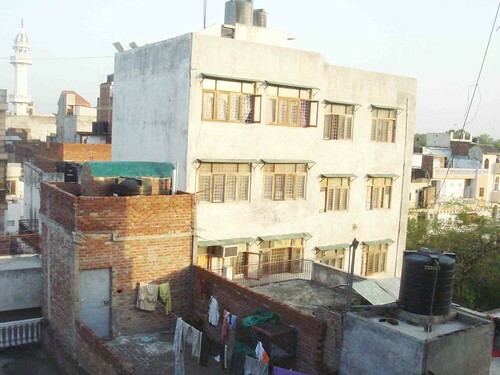 “Many families from Old Delhi have moved here,” said Imran Khan, a Jamia Nagar resident. “With university as its defining feature, people here are more educated. That we have so many coaching centers and cyber cafes tells a lot about what we want for our children,” he said. While the neighborhood has mirrored the pattern of development happening in any big city, there are certain uncomfortable reasons behind its extraordinary growth. According to a real estate agent, the boom started after the 1984 anti-Sikh riots in Delhi when Muslims noticed that most of the atrocities happened in areas where Sikhs were not living together. So they started shifting to places like Jamia Nagar where comfort could be fond in numbers. “Wealthy Muslims can afford Vasant Vihar plots but we settle where we feel safe,” said Falak Khan, a Ghaffar Manzil housewife who drives her own Honda City. There are more than 15 mosques but only two temples – at Okhla Gao and Johri Farm. The most prominent sight is the tall white Escorts Heart Institute. Facing it, across Okhla Road, is the Holy Family Hospital. Proximity to these two prestigious institutions is one of the most appealing recommendations to live in Jamia Nagar. The ‘samadhi’ of former President Zakir Hussain, Jamia’s legendary Vice Chancellor, is next to the university library. 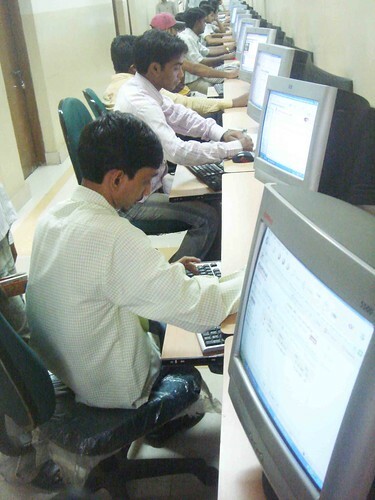 Arjun Singh Center for Distance and Open Leaning is on a leafy avenue at Tikona Park. Bhopal Grounds, the scenic cricket ground in the university campus, is used by morning joggers. The popular gym is Bodytalk in Johri Farm. Mridula Sarabhai Working Women’s hostel is situated near Tikona Park. 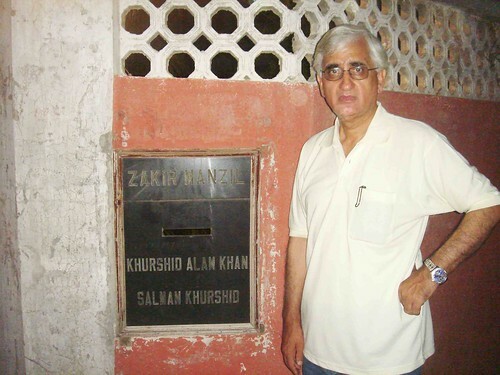 Salman Khurshid, senior Congress leader and Zakir Hussain’s grandson, spent his childhood here. Having a bungalow (Zakir Manzil) in the quieter Gulmohar Avenue, he regretfully pointed out the absence of once plenty Gulmohar trees. “There used to be a forest belt where we shoot birds with air-guns but all that has disappeared.” he mourned. Situated next door to New Friends Colony, Jamia Nagar is remarkably inexpensive. According to builder Avsar Khan, the current value for a two-bedroom apartment is around 5 lakhs. The rate for a three-bedroom is from 8 to 9 lakhs. As for rentals, two-bedroom commands around 4000 while three-bedroom is around 7000 per month. i am someone who has been to this area at least 14 years back,but i must say thats a very well written piece.start writing about some other localities of Delhi.I have never came across someone who mention ‘the best meat is avialble at Shamsi Store’Bravo..keep up the good work..
Mayank, you are a true blogger without prejudice. Society needs such unbiased writers. Your photo composition and photographic sense is laudable. I envy your such neat and clean blog. Keep it up, but a request. Remove this unnecessary word verification 🙂Why there is need of moderation? this is not a forum.Got my point? Hello Sayed, The so called “unnecessary word-verification” keeps the spammers away from the Delhi walla blog. To keep the blog neat and clean one needs to keep it away from the shady tones of the internet 🙂If I am right Mayank ? Great little piece. 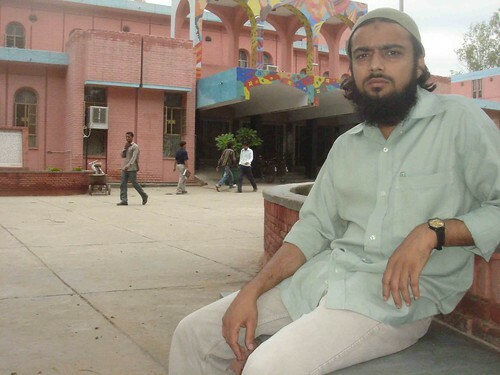 I actually did my PhD dissertation on Zakir Nagar a few years ago, and I think your short account captured many of the issues that I found as well. It is always shocking to me how segregated Delhi is. So many of my non-Muslim friends wouldn’t have even known that Jamia Nagar existed, except for the periodic news reports of terrorist encounters in the area. Anyway, just wanted to say great work on uncovering some of the complexities that underly this diverse and dynamic part of the city. Thanks for this post Mayank. I am moving with my family to Delhi in the next few weeks. My prejudiced mind is looking for a “safe” place to reside there. Your post helps me decide. i am midhun raj from kerala , a student seeking admission in ajkmcr for m.a mass communication. Your post about jamia is very nice and useful. keep writing more about the mystic delhi…. Good work done by posting the information about jamia nagar. Indeed it is one of the best place one can find in Delhi.. I find peace over there and I have lived here more then 14 year.Now i miss being there.